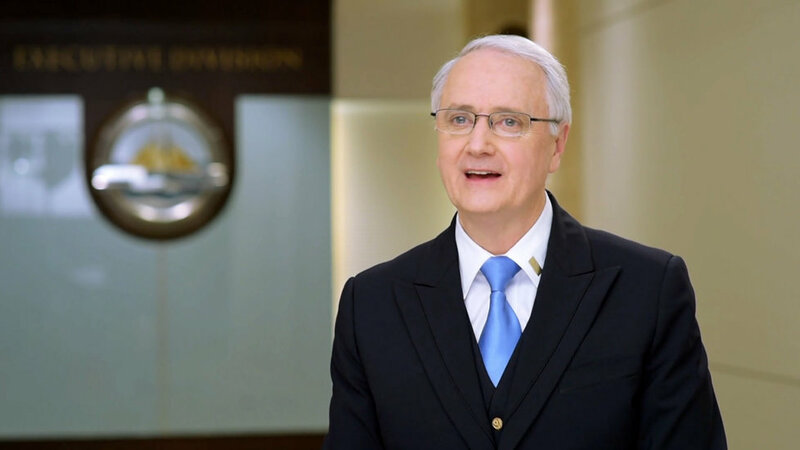 I’ve been, you know, on staff for over 40 years—on Scientology staff for over 40 years now and I’ve been in the Sea Organization for 30, working in the Advanced Organization here for the last 20 years. And just our expansion here directly because of what Chairman of the Board has done to put our lines in at the Advanced Org—to put perfect lines there, perfect delivery there and then the lower organizations which, of course, flow up to our organization. Just to see how he’s put those there, perfectly with people coming onto the Bridge, onto the Scientology Bridge for the first time and then moving on up through the organizations to my organization, yeah, we have—I was looking back at the statistics not so long ago and we have 10Xed our delivery in the last 10-15 years I would guess, I think maybe 15, 12-15 years. And that’s purely and simply because of the Chairman of the Board’s leadership, his direction and his pure work. The work that he does directly on, to put these lines here. So I would have to take my hat off to the Chairman of the Board. 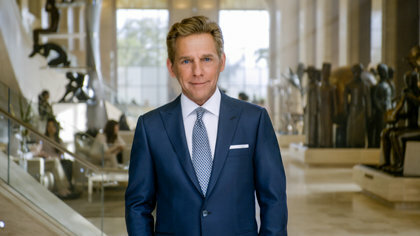 I would say, you know, as far as the Chairman of the Board, Mr. Miscavige, goes, the thing that people don’t often see is his sense of humor, his what we could call spirit of play. You know, I’ve been on the receiving end of some of those, you know, as well as seeing many things that he has done and, you know, his humility and his, as I say, spirit of play. His ability to pull a joke on you or pull a prank on you, you know, and I kind of like to think it was a little bit due to his years that he spent in the United Kingdom. And the sense of humor, you know, some of the sense of humor that I think might have rubbed off on him over there because he is so supremely humorous and, you know, warm hearted, I think that’s the other thing. You know, you don’t, unless you have a chance to really interact with him, then you don’t ever experience that. You know from my viewpoint probably the Chairman of the Board’s, Mr. Miscavige’s, most major achievements is getting Mr. Hubbard’s technology out to us in the pure format that Mr. Hubbard expected it to be in. Having earlier on in my staff career, I had an opportunity to see the volume of materials that Mr. Hubbard put out, be it in the written form, be it in lectures, be it in movie scripts that he scripted, and to be honest, it was pretty overwhelming, just the pure volume. And the thought of, you know, confronting that, facing up to that and actually getting it out in that format—that took some doing. And he has done that, you know. 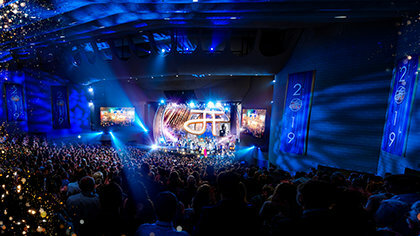 He has obviously had many, many major achievements within the Church, from putting the Ideal Orgs all over the globe to all sorts of other things that Mr. Miscavige has done as far as bringing about the massive Church expansion. So he has many, many, many feathers in his much-feathered cap but I would say the biggest one, the ostrich feather there, is going to be the, you know, the Golden Age of Tech releases and the Golden Age of Knowledge releases that he has overseen and gotten out to us for—which I personally will be forever grateful to him for that.